Dr James Stern is global business development manager – healthcare at Albis. 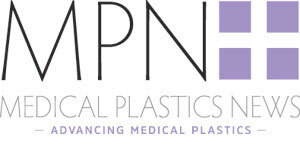 On 25th April 2018, he will discuss the complexities of using plastics as a material of choice for medical applications at the Med-Tech Innovation Expo in Coventry, UK. Today, there is a cornucopia of material options available to the producers of medical or diagnostic devices as well as pharmaceutical packaging who plan on using plastics in their applications. The decision to use plastics is based either on their potential to offer significant advantages over classical materials of construction such as glass or metal in terms of weight savings, design flexibility, transportability or to support changing regulatory requirements associated with their existing materials of construction including inter-plastic replacement. The utilisation of plastics supports the societal move from the historic hospital, doctor based palliative treatments to a home, self-administered monitoring and treatment approach where classical materials are simply no longer appropriate in a majority of applications. However, not all plastics are created equal. Whether considering the desired physical properties of materials; for example, transparency, stiffness, low temperature impact, weldability, ability to be gamma-sterilised or whether considering the regulatory support package that may be supplied with a material, for example notification of change, the period of that notification, biocompatibility testing on the base material etc, there are a number of key questions that should be asked, and answered, during the material selection process; one aspect is often considered without reference to the other which can create issues. Additionally, plastics are produced by the chemical industry who have a different ‘raison d’etre’ than their typical healthcare customers especially considering the lifetime of products. Neither should one fail to consider the new Medical Device (MDR 2017/745) & In Vitro Diagnostic (IVDR 2017/746) Regulations where the control of packaging and device materials will become increasingly critical, so such material knowledge becomes increasingly essential. This presentation, therefore, aims to provide guidance on which key questions should be asked, when and to whom regarding the material performance as well as the regulatory support given with these materials. The benefit is, therefore, to better inform the healthcare community in order to navigate this complex and crowded space and hence to make better, more sustainable decisions. To attend this session, click here to register for free to attend Med-Tech Innovation Expo.